For auto repair or maintenance contact Rolling Auto Service today! You probably already know that things are likely to last longer when they are taken care of. The same rule applies to your car. To keep your car going strong, avoid these four destructive habits. 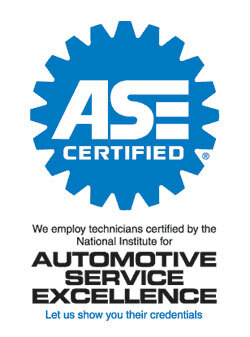 Regularly maintenance is essential to the endurance of your car. This includes oil and filter replacement, transmission fluid, air filter and brake pad care. Regular maintenance may require a small investment of time and money, but it beats the cost of a new engine or transmission. When you notice a warning signal light up on your dash panel, make sure to take care of the problem as soon as possible. You can check your owner’s manual if you are unsure what the light means. These warning lights are to alert you of potential serious problems. Adhering to these signals prevent a bigger problem down the line. Jerky driving won’t destroy your car right away, but it will cause your engine, transmission and brake system to break down a lot faster. Cars that are abused typically have premature fluid leaks, broken seals and other mechanical problems. For some cars, tires can get pretty expensive, so replacing them can be a pain. However, driving on bald tires is dangerous. If you tire blows out when you’re driving, you can lose control and cause a serious accident. If you drive with bald tires in the rain, you run the risk of hydroplaning. A new set of tires might seem expensive, but it’s worth your life and the expense of more serious car damage. For regular car maintenance in Venice, FL contact Rolling Auto Service. Posted in Uncategorized on May 9, 2017 at 8:41 pm by Rolling Auto Service.